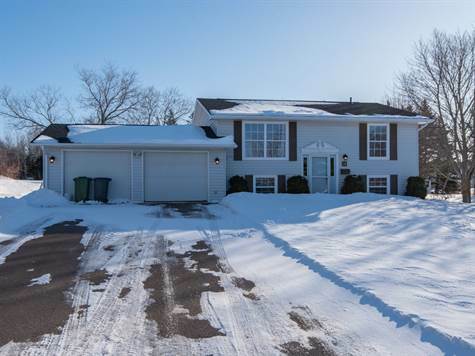 Well cared for four bedroom home in the highly sought after Glencove Drive area of Stratford. The main floor has an open and bright kitchen/dining area, with white cabinetry, tiled back splash and breakfast counter, the living room as well offers lots of natural light from large windows. There are two good sized bedrooms and a full bath. The lower level has a nice sized family room, two more bedrooms, full bath and laundry/mechanical room. In addition there is a double attached garage, a large deck to enjoy your back yard, with park and walking trails behind. This is a gem in a prime location. Don’t miss this one! Make the call to arrange a viewing today.